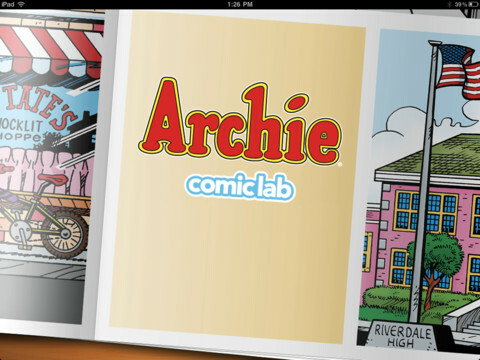 HomeDigital ComicsCreate Your Own Archie Digital Comic With Archie ComicLab! 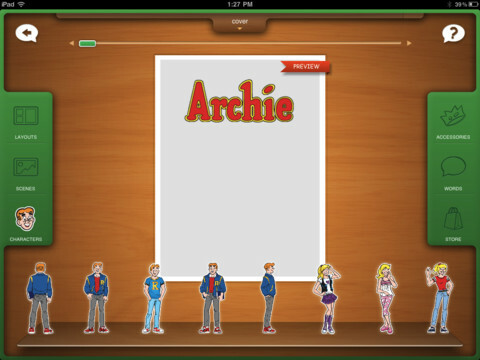 This one seemed to slip through my notice, but Archie have their own build your own digital comics creation app! Archie Â® ComicLab is the #1 way to take your comics to the next level! Once you’ve designed your own comic, you can share it with the Archie ComicLab Community. You can also rate other comics in the Archie ComicLab community! You’ll find all your favorite Archie characters right here. Archie, Betty, Veronica, Jughead and more! In addition to that they have now got a competition up and running! To celebrate our wildly popular Archie ComicLab iPad app, we’ve decided to reward three lucky winners with some awesome prizes. The rules are simple. Open up Archie ComicLab, create a comic of at least four pages and submit it toÂ ARCHIE@BITESIZEDCANDY.COM. All entries will be viewed by the actual creators of Archie, and one Grand Prize winner will be selected to have their comic published and printed into a real-life Archie Magazine.Â Click here for the official rules. All submissions must be received by December 31, 2011. One year subscriptions to “two” different Archie titles. A one year subscription to “one” Archie title.